Love pasta but not all the belly-bloating carbs that come with it? Then get to know shirataki noodles, which contain zero calories. Once available only in Far East Asia, this low net carb pasta can now be found in most supermarkets throughout the U.S. and Canada. Perhaps you have a love-hate relationship with pasta. You love the ritual of merrily twirling fork-fulls of it into your mouth … and maybe washing it down with a sip of red wine. But a couple hours after your indulgent pasta meal, you begin feeling guilty. Your pants feel tighter. And you feel like you want to pass out. You’re in a carb coma! In light of this, the question then becomes, what’s a pasta lover to do? Especially if you want to cut way down on carbs. The answer: eat shirataki noodles. 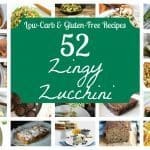 It’s pasta with almost zero net calories and no wheat or gluten. So technically, it’s not pasta, because conventional pasta contains lots of wheat, gluten, carbs and calories. A more accurate term for this diet food is yam noodles. This is because shirataki noodles are made from a fiber called glucomannan (or as it’s known in Japan: konjac flour). This fiber comes from the root of a wild yam-like vegetable. “Yam pasta” is certainly more marketable term than “Devil’s Tongue,” which is the translation of the Japanese yam-like veggie. The glucomannan is extracted from the root of the yams. There’s a couple different ways the noodles are made in Japan. 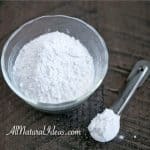 The varieties of shirataki that are sold in the west are made when the glucomannan fiber is mixed with water and calcium hydroxide (quicklime). This mix is then shaped into thin noodles. 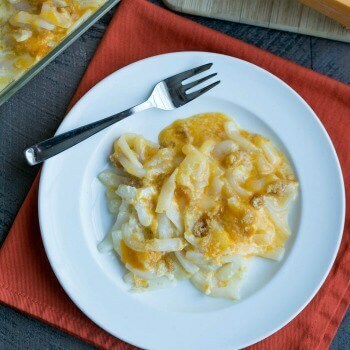 What does shirataki taste like? In a single word, nothing. Just as you likely don’t eat pasta plain, these Japanese diet noodles aren’t meant to be eaten plain either. But when you prepare these zero-carb noodles correctly, they have a similar texture to regular noodles. As such, when you add extra ingredients to the noodles, the noodles act like a sponge; they soak up the sauce and seasonings very well. 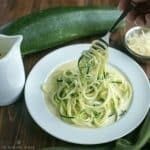 Although everybody’s taste buds are unique, most people will be able to tell that shirataki does not taste exactly like regular pasta or have the same consistency. However, if you properly prepare them, it’s close enough to the real thing. 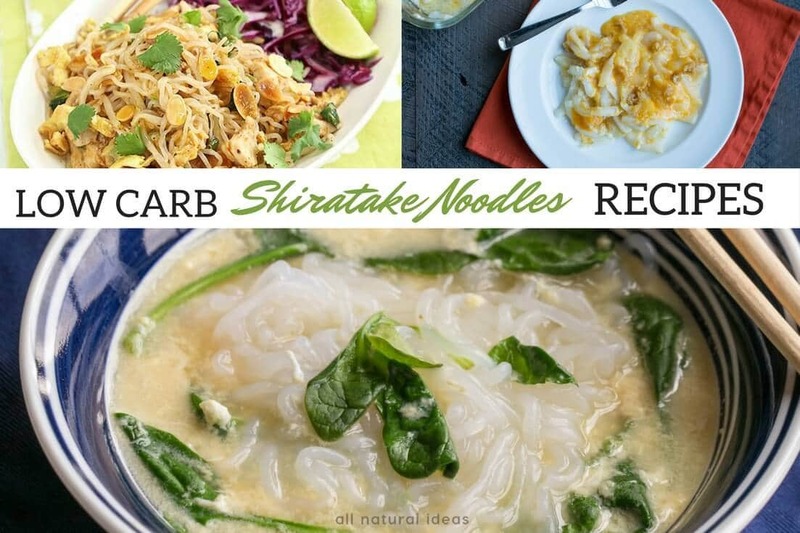 Whatever differences shirataki noodles may have from its conventional high-carb counterpart, it’s a small price to pay to be able to eat a couple servings of pasta without driving up your blood sugar levels and consuming too many calories. 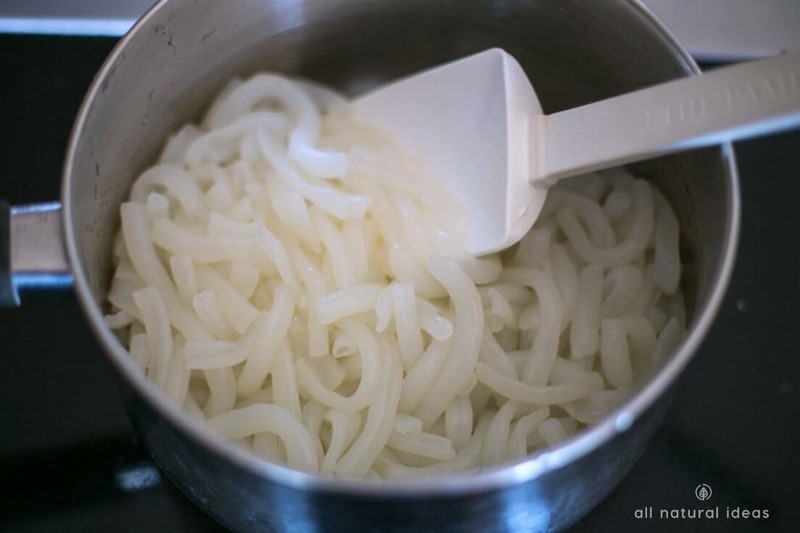 How do you cook shirataki noodles? In addition to the low calories and carbs, another advantage of this diet pasta is that it takes less time to prepare than regular pasta. Cooking regular spaghetti al dente takes 10-12 minutes. In comparison, shirataki takes only a few minutes of lightly boiling. However, there are a couple important steps to add to the cooking of the noodles. First, before you place the noodles in boiling water, you may want to wash them. Most varieties of shirataki come packaged in water (they have a long shelf life of up to a year;). When you open the package, there will be a strong off-putting smell. The odor is totally natural but in order to get rid of the organic stench, you’ll need to rinse the noodles in cool water for about a minute. And after the noodles are done boiling for 2-3 minutes, you’ll want to dry roast them. To dry roast, first drain the noodles as you would with regular pasta. For optimum results, after draining, pat the noodles dry with a paper towel. And finally, place the noodles in a dry frying pan (no oil) on medium heat for a minute. At this point, you’ll hear the noodles squeaking. That’s when you know the noodles are ready. From here, you can add whatever sauce you want. Or, if you’re making a stir fry or soup, you can add the noodles at the very end of the cooking process to the other ingredients. Do Shirataki Noodles Have Soy? Some brands do contain soy while others don’t. There is some concern about whether or not soy is beneficial for health. For instance, traditional nutrition experts at the Weston A. Price Foundation list several ways in which soy can actually be damaging to your health; only fermented soy, the organization and other experts claim, is healthy. Tofu shirataki is not fermented soy. Keep in mind, though, there are plenty of other health experts that believe adding soy is healthy. But here’s another reason why you may want to avoid tofu shirataki…. The chemical process of making the noodles is done in an alkaline environment. As such, the protein in soy can become denatured. (If you’re interested in reading more about this, check out this Science Daily article. 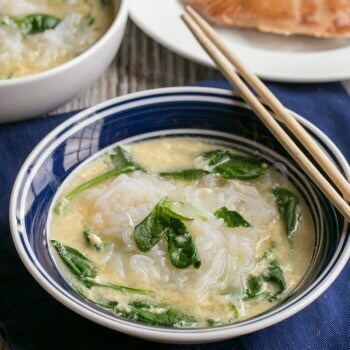 What are the ingredients in shirataki noodles? Some brands of shirataki also add a tiny bit of spices and vegetables to create different noodle styles. Is there any nutrition in shirataki pasta? Not really. As you can see above, it’s mostly water. There are no vitamins, minerals, antioxidants that classify this food as nutrient-dense. There is a trace amount of fiber in the noodles and that’s what gives this low-carb pasta its health benefits. What are the health benefits of shirataki pasta? Even the tiny amount of fiber binds with the water, and when you eat these noodles, this mixture of glucomannan fiber and water does two beneficial things. One, it slightly expands your stomach. This action helps make you feel full faster than regular pasta. And second, it slows down your digetstion. improves satiety in obese patients. beneficial for people with type 2 diabetes. beneficial for those with insulin resistance syndrome. So although shirataki noodles contain virtually no nutritional value, they can contribute to overall health and help you get slimmer. Because they have almost no calories or carbohydrates, shirataki noodles help regulate blood sugar levels. Many diseases are the result of high blood sugar and inflammation. Shirataki is generally considered safe for ketogenic diets, Paleo diets (if it’s soy-free) and virtually any other low carb diet program. Here’s how a leading brand of Angel Hair shirataki noodles compares to a leading brand of regular pasta (shirataki, regular). As you can see, the big difference between the two pastas is the carbs and calories. Are there any side effects of shirataki noodles? Yes, there can be some unpleasant side effects. One of the big selling points of major brands of shirataki is that because these noodles are calorie-free, you can eat as much as you want. But even with this guilt-free pasta, you might want to stick with one or two servings at most. This is because the fiber in shirataki is insoluble (you can’t digest it). Consequently, eating a lot of these noodles can cause a blowout (pardon the medically inaccurate name). If your system is not used to a lot of insoluble fiber, you can experience a lot of gastric distress. Is shirataki pasta miracle noodles? 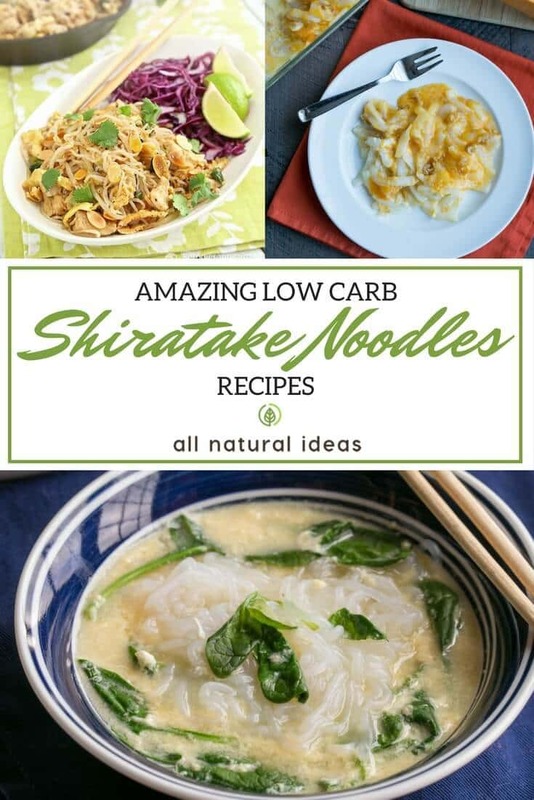 Some people refer to shirataki noodles as “Miracle Noodles.” This is because “Miracle Noodle” is one of the leading brands of shirataki noodles. Founded in 2006 by a medical doctor, Miracle Noodle is believed to be the first brand of shirataki in the U.S. The founder of the brand, Jonathan Carp, M.D., while on a visit to Japan, was introduced to shirataki noodles at a Buddhist monastery outside the city of Kyoto. The rest of the story is low carb history. Since Miracle Noodle entered the market, however, several other brands of zero calorie veggie pasta have come to market. And most supermarkets these days carry the noodles. Some carry it in the refrigerated section while others sell it in the regular dry pasta aisle. Most of the negative reviews for shiratake noodles are based on not preparing them correctly. Dry roasting them before adding them into your recipe will give the best taste and texture. 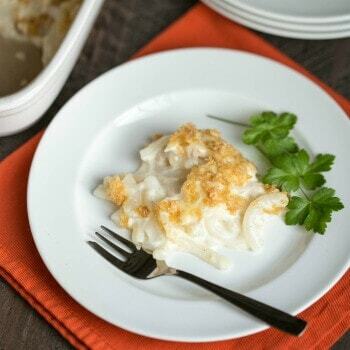 For the ultimate comfort food, try this Low Carb Macaroni and Cheese made with Miracle Noodle Ziti. It’s got all the flavor without all the carbs! Shiratake is the perfect low carb replacement for ramen noodles. If you’re looking for a good recipe to try, check out this Spinach Egg Noodle Soup. Using the right noodle makes all the difference. 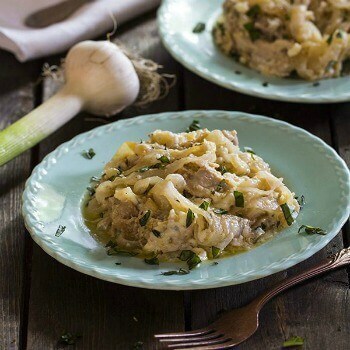 This yummy Tuna Noodle Casserole will become one of your favorite shirataki noodles recipes. Shiratake is the perfect noodle for Asian recipes. 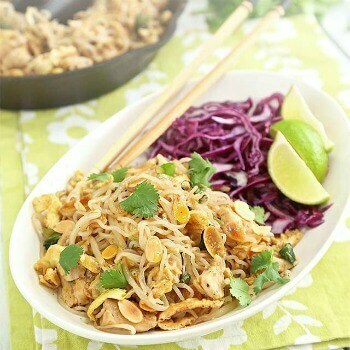 This Paleo Pad Thai makes a winning low carb lunch or dinner. 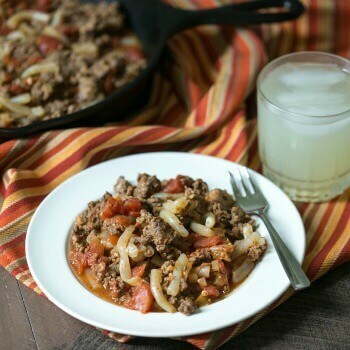 It’s doesn’t get much easier than this tasty Sausage Goulash. After prepping your shiratake pasta and browning the meat, this classic skillet dish cooks up in 20 minutes. 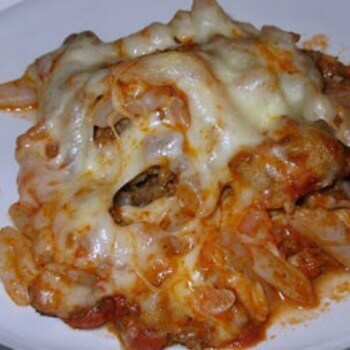 A favorite Family Style Baked Ziti can be made low carb by simply switching out the high carb noodles with shiratake. This one is great for potluck gatherings. Alfredo sauce blends well with shiratake noodles in this simple Chicken Fettuccine Alfredo dish. 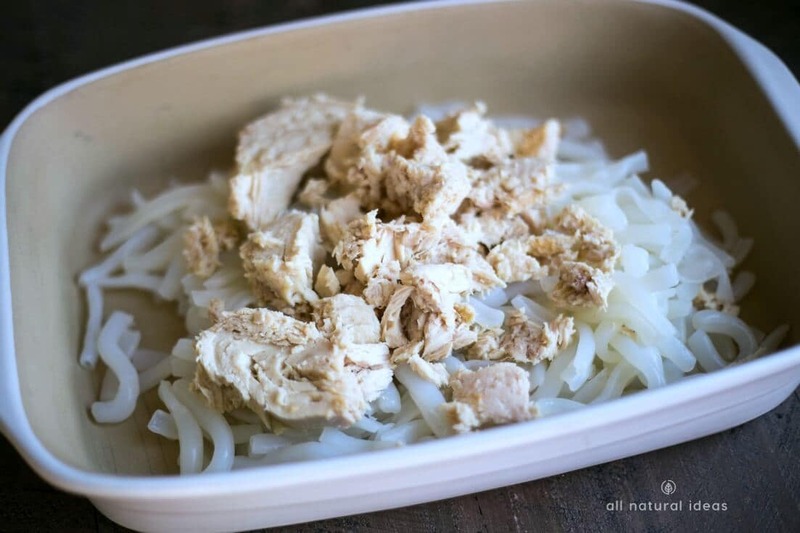 It’s soon to become one of your regular shirataki noodles recipes. 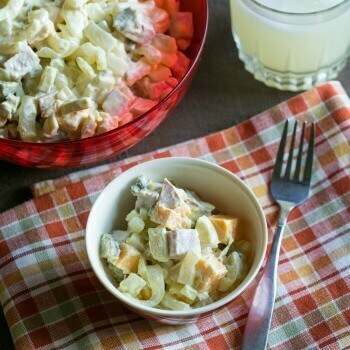 Make up a bowl of this Ham and Cheese Macaroni Salad to share at picnics in the summer. It’s also a filling lunch to bring enjoy at work. A simple Lemon Garlic Shrimp recipe that’s super easy to make using low carb noodles. 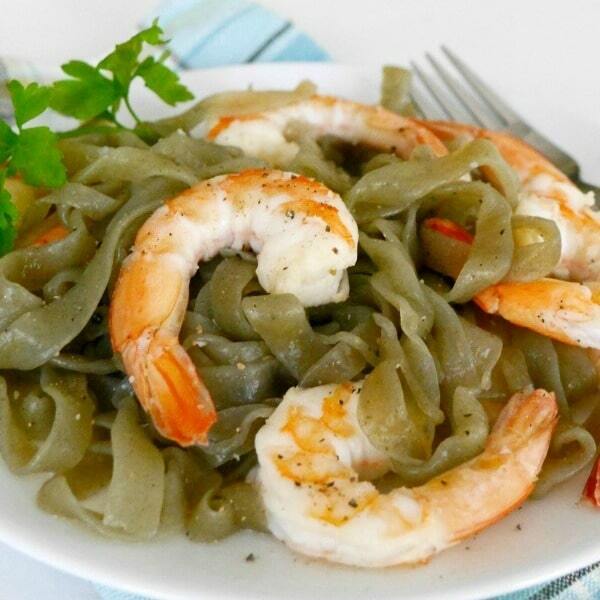 The garlic and herb noodles blend are perfect for this dish. 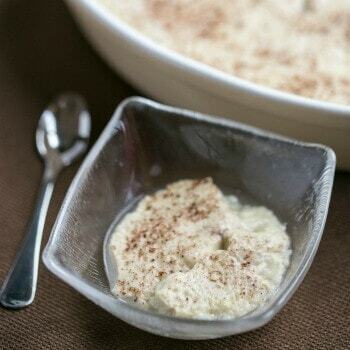 If you don’t want to turn on the oven, you can make a batch of Crock Pot Low Carb Rice Pudding in the slow cooker. Miracle Rice is the secret to keeping this treat low in carbs. The funky odor actually originates from a preservative the noodles are packaged in, which is a base. All you need to do is neutralize it with a base, like a vinegar. Rinse the noodles with vinegar, then again with water, and the fishy odor is gone! There’s various brands available and better deals in places like Walmart.